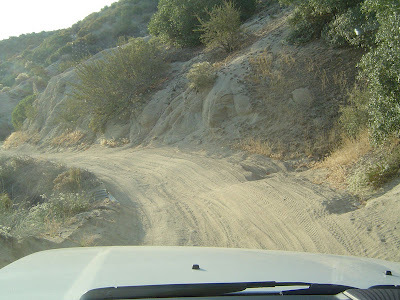 Yesterday morning I drove Cleghorn Ridge Road, an OHV area in the mountains east of Cajon Pass between San Bernadino and Victorville. Here's the Dirtopia page for it. My first photo is looking west after about a half mile from starting off I-15. 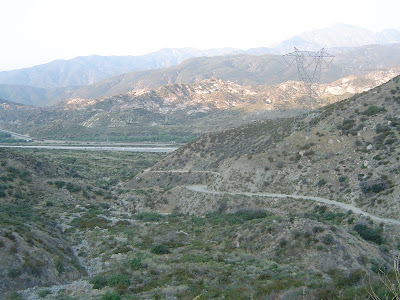 I learned of the road from the book Backcountry Adventures: Southern California by Massey and Wilson. It also mentioned that the ridge is named after Mathew Cleghorn and his son John, who operated a lumber business in the region in the 1870s. That book gave it a difficulty rating of "2, 4 to 8". 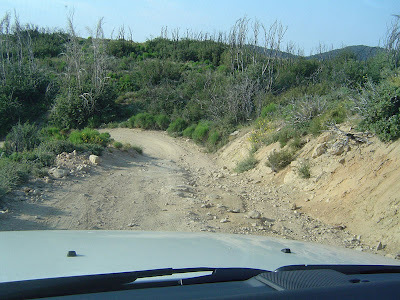 The range is because the main road is a 2, but many alternate sections are much more difficult. The next two photos show the typical road conditions on the main road. Since it was a Saturday, I went early to avoid the crowds because I'd seen many posts, photos and even videos online. 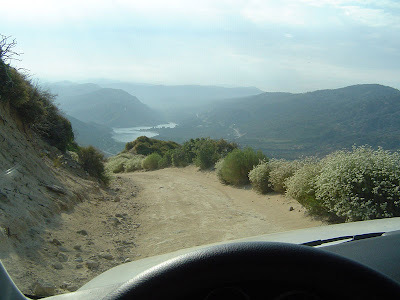 I enjoyed driving this road - it was fun. More fun than my usual get-away-from-the-masses road: Santa Clara Divide Road. The next photo shows one of the difficult alternate sections. I want to return and drive some of those alternates. 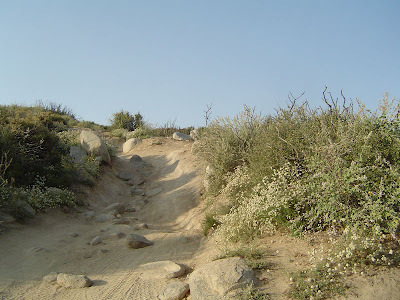 The last photo shows Silverwood Lake in the distance. The road ends at Highway 138 on the west side of the lake. Tuolumne Meadows is Alive with Mosquitos!